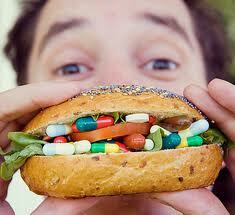 Vitamins and Minerals for Oral Health? You’re Kidding! For years, we’ve been told how vitamins and minerals have a beneficial effect on our bodies. For example, how vitamins B1, B2 and B3 supports energy metabolism, the health of your skin, normal vision and aids your digestive system…and how minerals like Iron carry oxygen throughout the cells of the body. But little mention had been given to the fact that both vitamins and minerals can have such an advantageous effect on oral health. Now, before you run out to your local drug store, vitamins and minerals that promote oral health are widely available in what we eat, so try getting them from natural foods. We have included a chart which you may find helpful. If you are currently incorporating these foods into your meals…great! If not, it will take very little effort to do so. Not only will your mouth thank you, but it may mean fewer visits to the dentist…and wouldn’t you all love that! Mom sure knew what she was talking about when she forced you to eat your meals, especially your vegetables, when you were a kid! B2, Niacin, B6, B12 Folic Acid Prevents soreness, redness and bleeding of the gums, cracking and sores in the corners of the mouth and on the tongue Salmon, beef, liver, chicken, fish, yogurt, nuts and beans. Breakfast cereals, spinach, navy beans, orange juice, pasta, rice.